The link reflects changes and additions since our print publications went to press. All updates are continuously included throughout the year in LDMonline. LDMmobile for when you are on the go! 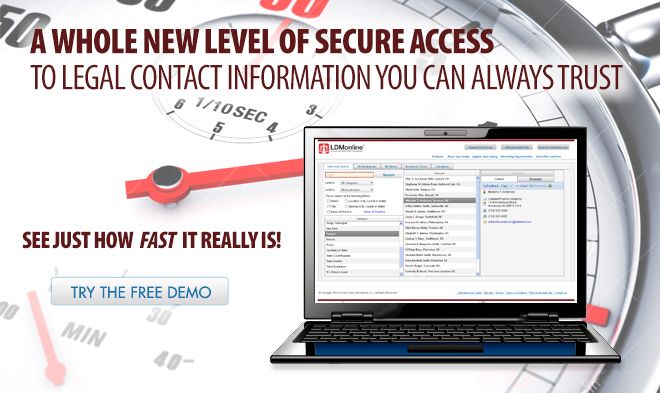 Provides the contact information you require every day! Not a million "results," just the information you need. Directly verified by professional research staff. At least monthly online. Annually in print. No installed software. Intuitive searching. No training required. Want immediate access to the most accurate and up-to-date relational legal directory available on your PC and smartphone? Lawyers Diary and Manual® legal directory. Lawyers Diary and Manual® offers the most accurate and up-to-date relational legal directory available today – in print, online or via smartphone. 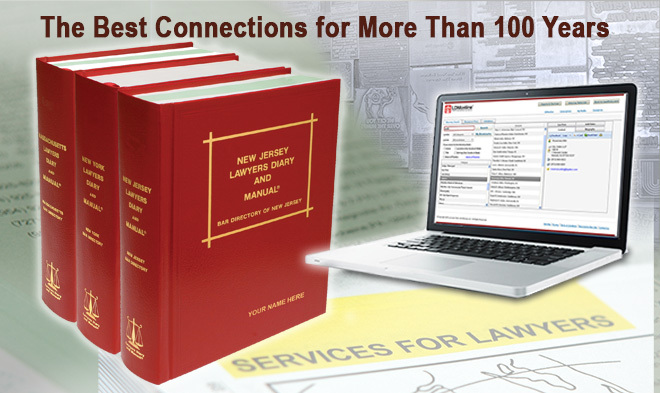 For more than 100 years, attorneys, paralegals and law office staffs have trust “The Red Book” as an indispensable resource for the critical information needed in their daily practice. 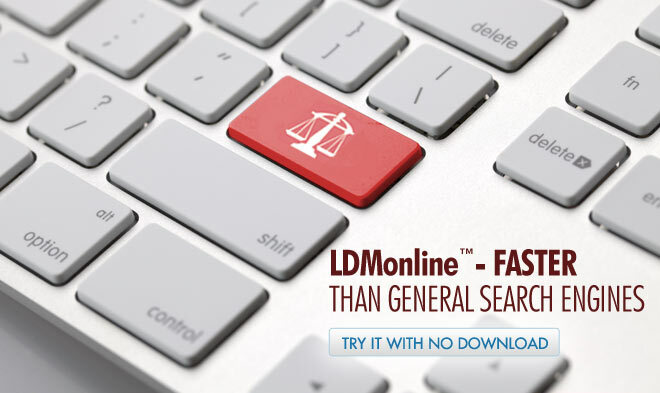 While the print edition remains a staple in thousands of law firms, today’s legal professionals also enjoy the convenience and speed of LDMonline and LDMmobile. 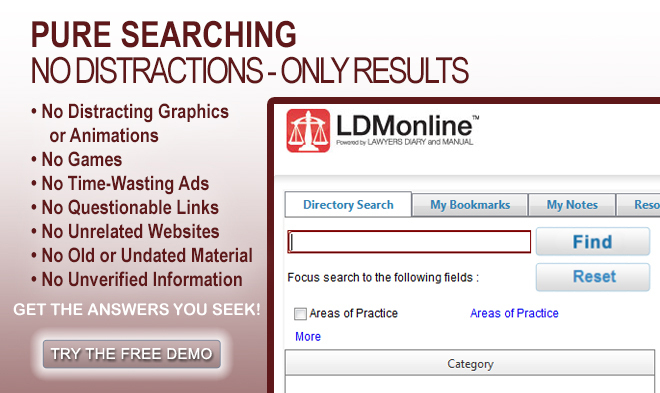 Discover the simplicity and precision of LDMonline. 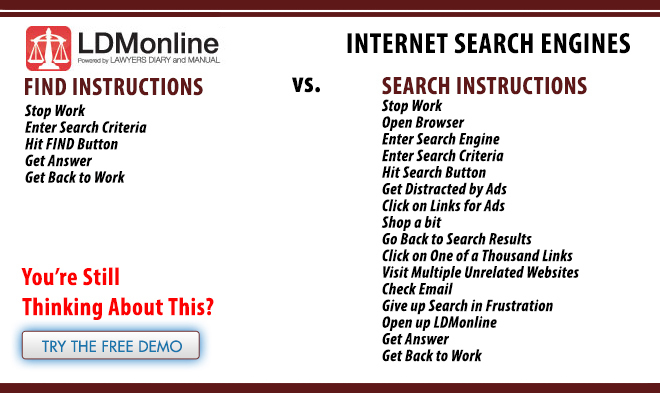 Click here, to demo the product and experience the speed and accuracy unmatched by other internet searches. Get your subscription to LDMonline or any products from Lawyers Diary and Manual® by placing your SECURE ORDER, online or by calling (973) 642-1440 ext. 2. Lawyers Diary and Manual Introduces New Mobile App! Attorneys save time by keeping critical information at their fingertips! © Copyright 2019 Lawyers Diary and Manual LLC. All Rights Reserved.